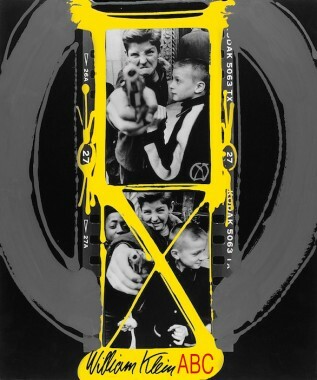 While legendary writers Saul Bellow and Philip Roth were documenting 20th century American life through the written word, their contemporary William Klein was busy capturing the essence of America through photographs and film. The New York native, now in his late 80s, has spent a significant portion of his life travelling the world capturing the frailties and determination of humanity on the streets of Moscow, Tokyo, London, his adopted home of Paris and, of course, New York. His debut book, Life is Good & Good for You in New York, published in 1956, is seen by many as an equal in terms of influence and importance to Robert Frank’s seminal The Americans. Learning from his artistic mentor Fernand Leger about the freedom of multidisciplinary art, Klein rampaged through the second half of the 20th century shooting everything and anything with a frenetic obsession. 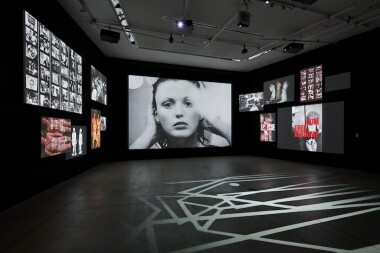 He worked for Vogue, made seminal films such as Muhammad Ali, the Greatest, flitted between Paris and New York and other global capitals and became one of the most important photographers of his generation. 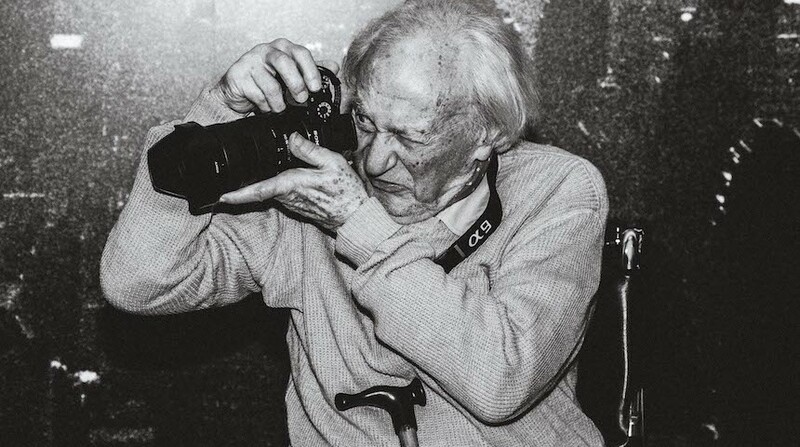 Sure, others came and went, including Eggleston, Winogrand, Leiter and Levitt, but it is Klein who smashed conventions and inspired a legion of imitators such as Japanese lensman Daido Moriyama. 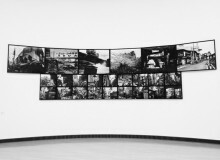 Klein is the main focus of a new exhibition at 21_21 Design Sight, “New Planet Photo City: William Klein and Photographers Living in the 22nd Century,” alongside younger Japanese and Asian photographers and artists who are, according to the program notes, “trying to examine the cities and people of the 21st century with a fresh perspective and greatly transcend the frames of conventional photos.” As an exhibition it’s spectacularly incoherent. Impressive animated projections of 200 Klein photographs, as well typography and abstract images made in collaboration with visual artist TAKCOM, sit in the opening room with music. There is also narration from the man himself. However, the second gallery space is taken up with other artists and it’s impossible to draw a throughline between the works on display. Individual artists such as Kunihiko Katsumata stand out due to the ambitious scale of their work, such as “Panning of Days” and “Skyline,” which act as an homage to Klein with their blurry and distorted images of city life. Other works from photographers such as Takahiro Mizushima don’t really belong here at all. Essentially, Mizushima’s work comes off as a failed attempt to recreate the effervescence and frenzy of Klein’s early period. The images by artist Sachigusa Yasuda, in which she takes photographs from high-altitude spaces in New York, are striking. When paired with other work in the space, such as Naoki Ishikawa and Yasuhiro Morinaga’s portrayal of small town Greenland, however, they make no real coherent sense. And furthermore, it’s still unclear what these works have to do with the 22nd century. Other photographs by Mina Park and Shen Chao-Liang, again, work individually. But as a thematic grouping, and when paired with Klein, the whole exhibition comes across as tenuous at best. American poet T.S. Eliot once described Stravinsky’s Rite of Spring as “the rhythm of the steppes into the scream of the motor horn, the rattle of machinery, the grind of wheels, the beating of iron and steel, the roar of the underground railway, and the other barbaric cries of modern life; and to transform these despairing noises into music.” It could be said that Klein’s work does much the same with photography and confirms that he’s an artist very much rooted in the 20th century. In the program notes director Toshiharu Ito says, “I think the young Japanese and Asian artists in this exhibition each have their own imagination and creativity while inheriting the memory and adventure of the photos of Klein. Their multifaceted expressive world is the small planet each of which is active, and it contains a life force that breaks down the homogeneity of modern visual communication.” Perhaps Ito is right in saying that some of the younger photographers exhibited have taken on the artistic mantle from Klein and have been inspired by his curiosity and artistic vision. However, as a rational collection of work this show simply doesn’t convince and only illuminates the huge gap in quality and style between Klein and these young pretenders.